From time to time the Association of Messianic Congregations holds a conference. The main goal of these is to help train and equip Leaders & Volunteers in Messianic Jewish Congregations. We've also discussed pressing issues in our Messianic Movement, and all the while the fellowship and networking has been an encouragement each time we gather. 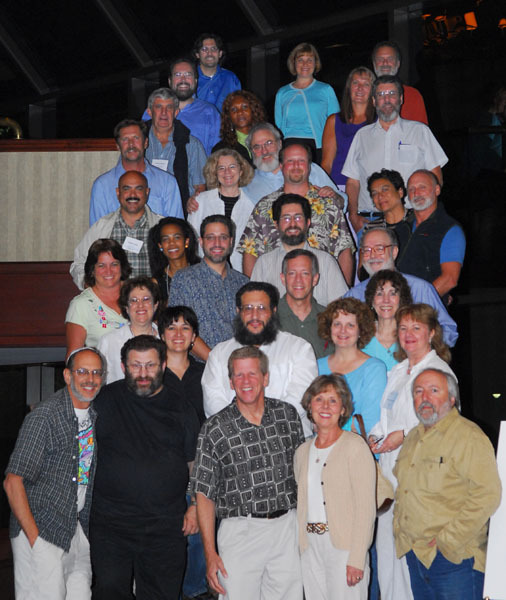 Our Northeast Messianic Leadership Conference in May 2005 was a success with over 40 Messianic Rabbis and Leaders meeting and sharing ideas and strategies. A similar Conference in the Southwest in July 2005 was also an encouragement to those who attended from 12 different states. Our Leadership Conference in Los Angeles in July 2006 was an even bigger success, with much networking going on. Additionally, several AMC Congregations have conducted Messianic Retreats which helped to build maturity among Messianic believers. Our 2007 Leadership Conference in Virginia went deeper in equipping Congregational Leaders and Elders to deal with difficult situations that can cause conflict, and sketch out the Biblical pattern for Congregational leadership. All these efforts are designed to lift up the name of Messiah Yeshua in our community as Congregations are planted, grow & prosper. Around 2008 we started to see various national ministries holding Messianic leadership training seminars similar to the workshops we presented at the AMC conferences. Since 2009 much of our effort has gone into helping congregations individually.